Several years ago, I was flying from the USA to Buenos Aires. That's a very long flight, and it was overnight for us. When I woke up it was early in the morning and we were over Argentina. I don't remember exactly what the plane was, but it was a very large jet. 767 or something like that. As we got close, the pilot came on the intercom and announced that it was too foggy down below to land, but we still had plenty of fuel reserves left and so he was going to fly in circles for a while and see if the rising sun didn't burn off some of the fog. After about 15 minutes, he came on again and said that the fog was burning off, and we were about to begin our descent into Buenos Aires. I was in a window seat, and I looked outside. We went into a cloud... and never came out. Literally the first clue I had that we were anywhere near the ground is when I felt the wheels hit the runway. And to this day I've always wondered what in the world was going on in the cockpit. I don't care how good the pilot's eyes were; there was zero visibility outside that airplane. That fog we were in was the metaphorical "pea soup", and he could not possibly have landed visually. But we came down safe, exactly where we were supposed to be, which means he must have made some sort of instrument-guided landing. But if he was capable of making a perfect instrument landing at that runway all along, why was the fog reducing visibility ever a concern in the first place? Does anyone here have enough experience to explain what happened that morning? I don't care how good the pilot's eyes were; there was zero visibility outside that airplane. That fog we were in was the metaphorical "pea soup", and he could not possibly have landed visually. What you see from a passenger window has little relationship to what the pilot is looking for and can see out his windshield. The pilot is looking for lead-in lights (there's a lot of them) and a sequence flasher that creates the effect of a ball of light starting at the beginning of the lead-in lights and traveling to the runway. In low visibility the tower will typically turn them up to maximum intensity. These lights are very bright, so much so that after catching sight of them I usually asked for them to be turned down. None of this light system is visible from the passenger cabin of a large aircraft save for the fact that you might notice a glow outside as the airplane passes over them when it's dark. the pilot came on the intercom and announced that it was too foggy down below to land, but we still had plenty of fuel reserves left and so he was going to fly in circles for a while and see if the rising sun didn't burn off some of the fog. Another thing that the pilot can do if he has the fuel and if the sun is about to set, is to loiter until it gets darker. The runway visual range (RVR) will generally increase considerably in the dark. There are other things at play as well. In patchy and/or blowing fog, what the RVR reads may not accurately reflect what the visibility is anyplace in the runway environment save where the RVR instrumentation is. Occasionally, local politics can also be a factor. In the 1980s I used to fly into an airport that had as its only air service the commuter airline I was flying for. The local government and chamber of commerce very much wanted to keep that air service. The problem was fog. An unwritten accommodation was reached that took advantage of the rule that once inside the outer marker, you can continue the approach even though the RVR dropped below the minimum required. We knew that if the reported RVR was right at the minimun required when we were cleared for the approach, we might well be told after reporting passing the outer marker that it was a lesser value. In two years of flying for that commuter, I never failed to land on the first approach at that airport and neither did most of the captains. I suspect that in today's hypersensitive regulatory environment, this accommodation might not be possible, and I also don't know if the rule is still in force that permits you to continue an approach once inside the outer marker. The system that allows planes to land in low visibility is the Instrument Landing System (ILS). Using ILS, a plane can know its position relative to the runway, either as a reference while manually flying, or to allow the autopilot to fly the approach to the runway, or even land the plane. There are different categories of ILS depending on the aircraft and airport equipment. Each category has its own "minimums," which are the weather conditions required for the approach to be made. This includes the decision height, which is the height above the runway where they must be able to see the runway, the runway visual range (RVR), or the visibility down the runway, and visibility minimum, which is the general visibility. Currently, the highest category in use is IIIb, which requires an RVR of 150 feet. Category IIIa requires 700 feet. Category II requires 1200 feet, and has a decision height of 100 feet. In your case, the weather was probably below the minimums for one reason or another. After holding for a while, the weather cleared up enough to allow an ILS landing. Runway lights make it easier to see the runway from the cockpit, so from a passenger's perspective, it can seem like "zero visibility". Other's have explained what ILS is, but if you were wondering what the pilot may have seen, it would be something like this. The vertical red box on the right side indicates whether the plane is correctly following the proper slope into the runway. If the plane drifts lower, the magenta diamond would go higher and vice versa. The horizontal red box indicates whether the plane is correctly centered on the runway. By keeping both in the middle, it allows the pilot or autopilot to preform safe landings even when visibility is not so good. In this example it looks like the plane was landing on a runway with a direction of 155 degrees and about to touchdown with 120 meters feet off the ground. The red boxes themselves are for illustration, so they wouldn't be there in real life. Also this display varies between plane manufacturers but conceptually the same. But if he was capable of making a perfect instrument landing at that runway all along, why was the fog reducing visibility ever a concern in the first place? Any technology, including the instrument landing system (ILS), can fail. Since life depends on it, there have to be methods in place to detect the failure and abort the approach. The final method for this is that the pilot must see the runway or approach lights when the aircraft descends to certain height above ground, the "decision height". The approach lights are very bright, so they can be seen significantly further than unlit objects. The basic ILS installation, CAT I, usually has decision height 200 ft, sometimes more if there is uneven terrain on the approach path. There is corresponding minimum visibility that generally corresponds to distance from start of the approach lights at which the aircraft will descend to the decision height. More advanced installations have monitoring circuits that verify the transmitters emit correct signal which allow using lower decision height or even no decision height for CAT III.  The highest category, CAT IIIc, would theoretically allow zero visibility landing, but that would also require instrument taxi guidance that does not exist. So in practice there is always minimum visibility defined so the pilot can visually check correct braking, turn off and taxi. At Buenos Aires it appears currently the best available approach requires 200 m visibility. Could have been more few years back; I don't know when they last upgraded. Aircraft can be certified to fly coupled approaches all the way to touchdown, and even landing roll out. CATIII ILS approaches, coupled with auto land, allow the computer to fly the jet all the way to the ground, while the pilot just monitors the systems and makes sure that nothing out of the ordinary is happening. 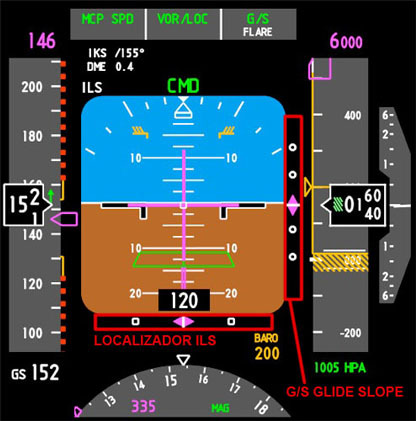 If the weather is below certain minimums then the pilot is required to use this auto land function, and cannot manually fly the aircraft. The pilot either used autoland, if the runway was certified for its use, or they waited until just enough fog burned off that they could legally shoot an ILS. If the visibility really was as bad as you say though, then the pilot would have had to use autoland. Not the answer you're looking for? Browse other questions tagged landing visibility or ask your own question. Is white/brown-out effect hazardous during the landing roll out? What counts as “runway in sight” when flying an IFR approach to minimums? Does the use of a turboclair system come with operational restrictions due to possible turbulence?